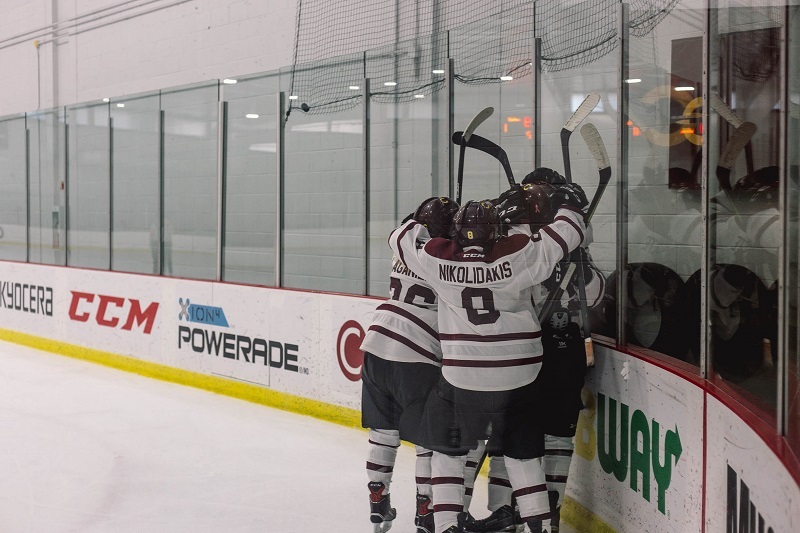 After going down by an early goal in the second period, the Concordia Stingers women’s hockey team stormed back with three unanswered goals on their way to a 3-1 victory in their home opener against the McGill Martlets on Oct. 21. For Stingers head coach Julie Chu, it was important for her team to stay focused after allowing McGill’s first goal just 70 seconds into the second period. In the first period, both teams were unable to take control of the game offensively. The Stingers and Martlets traded shots on goal with both goaltenders standing their ground and playing solid. Stingers goaltender Katherine Purchase made six saves in the opening period, while Martlets goalie Tricia Deguire made eight. In the second period, the Stingers went on the penalty kill early which led to the Martlets’ goal by forward Kellyane Lecours. Immediately after the goal, the Stingers went on the attack and scored three straight goals to round out the period. The first of those goals was scored by defencemen Brigitte Laganière on the power play nearly seven minutes into the second period. Less than two minutes later, Stingers forward Stephanie Lalancette gave her team the lead off of a wrist shot right after a faceoff in the Martlets zone. Lalancette added another goal late in the period following a give-and-go play with forward Sophie Gagnon. Forward Stephanie Lalancette scored one of her two goals on a breakaway against McGill goalie Tricia Deguire. Photo by Kirubel Mehari. Up by two in the third period, Purchase helped keep the Stingers in the game and steered aside multiple Martlets shots to secure her team the win. Purchase ended the game with 21 saves on 22 shots. The Stingers came into the game having lost their first game of the season against the Ottawa Gee-Gees. For Chu and the rest of the Stingers, a strong showing against their crosstown rivals was important to set the tone for the rest of the season. The Stingers’ next game will be against the Carleton Ravens on Oct. 27 at 7 p.m. in Ottawa.